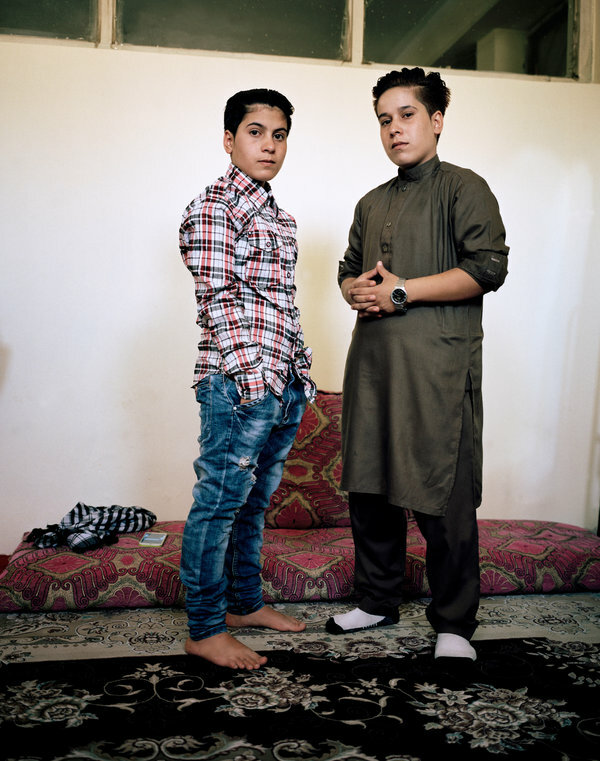 In Afghanistan, the photographer Loulou d’Aki made appointments to photograph stylish residents of the capital city. And when the air cooled down, she captured more natural moments in public spaces. “I wasn’t really sure what to expect,” Loulou d’Aki said. 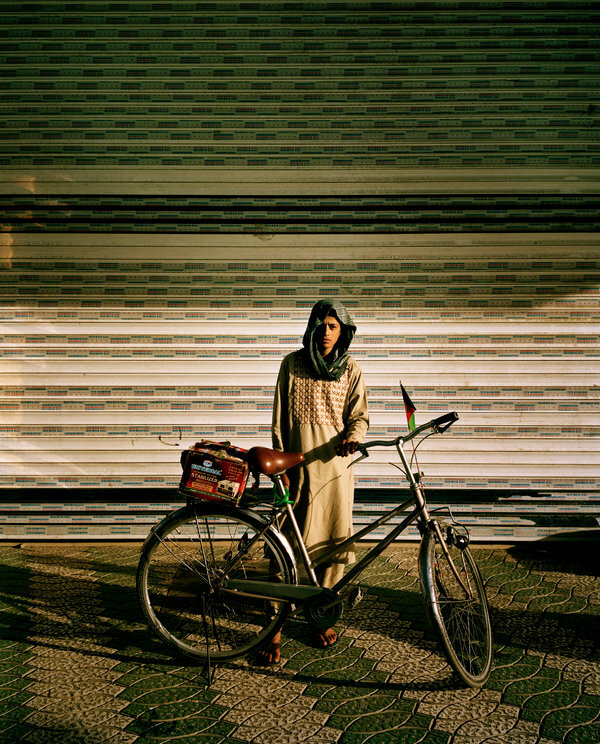 The Swedish photographer, who is based in Athens, has worked extensively in the Middle East. 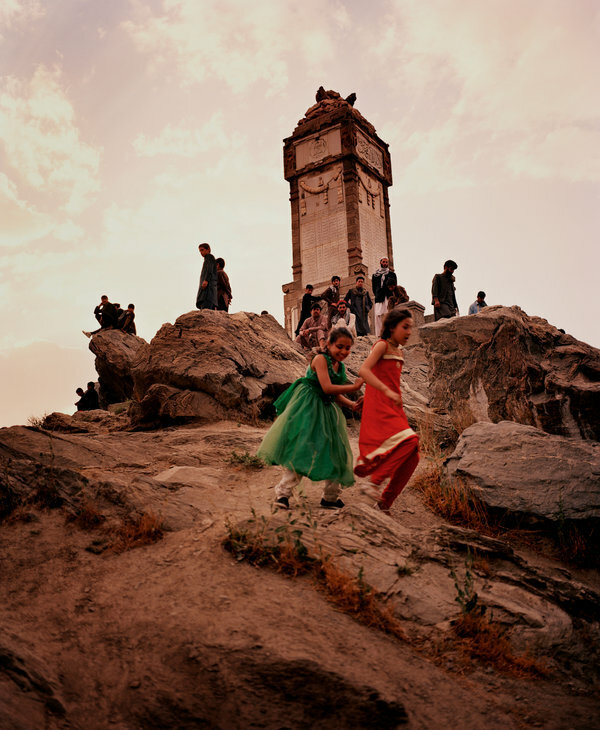 Before this summer, however, she had never been to Afghanistan. 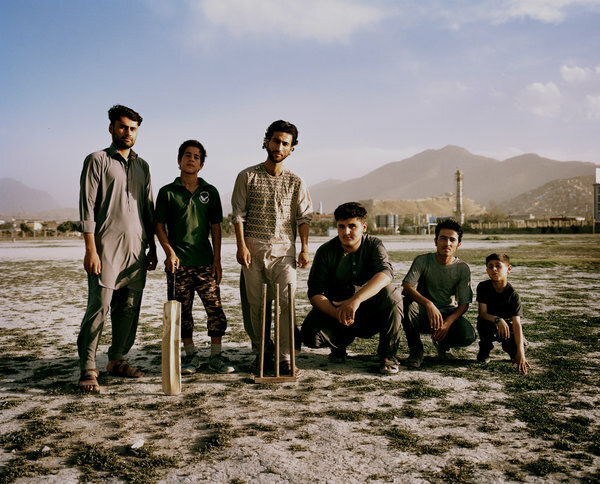 She did come across some of her subjects by chance, like the group above, whom she photographed during the Eid al-Fitr holiday. But for the most part, she made appointments to see people. “For families to have a son is very important,” Ms. d’Aki said. But as teenagers, she said, the girls are confused: “They are kind of convinced that they are boys, or they feel like boys.” And today, their parents, who now have a son, want them to behave like girls. 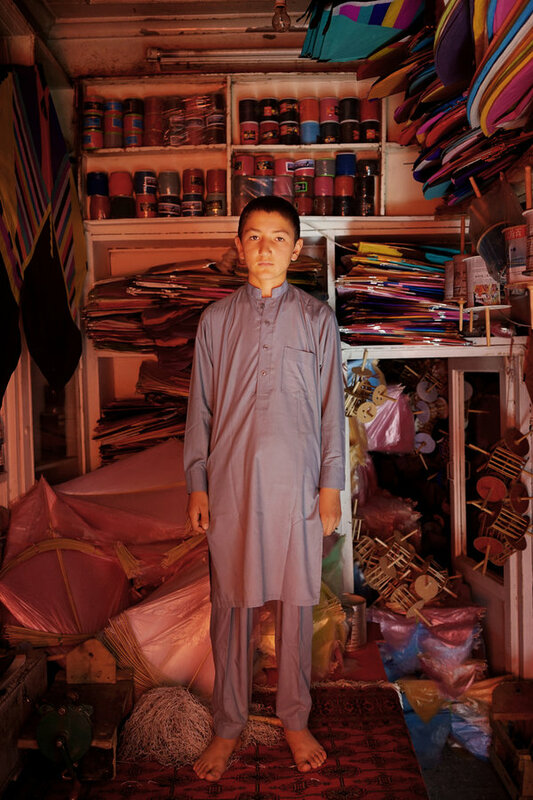 Niki Tak Azizi buys his clothing in flea markets on the streets of Kabul. 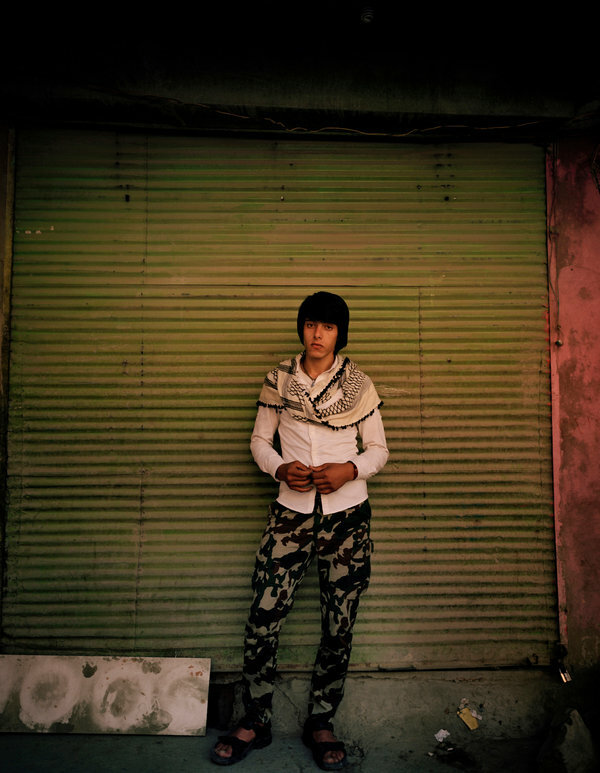 His style is more feminine than that of most men in Kabul, Ms. d’Aki said. He told Ms. d’Aki that, like Ali and Setar, he is often harassed as a result of his appearance. 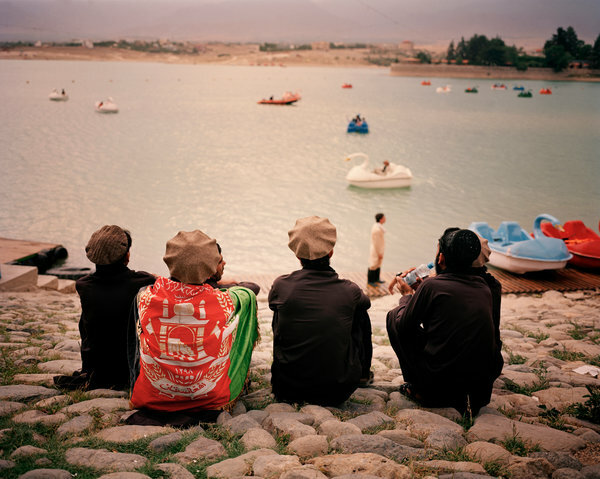 Ms. d’Aki didn’t speak to these men, who were taking photos of each other just before sunset one day during Ramadan. But they seemed to share her delight in this setting. 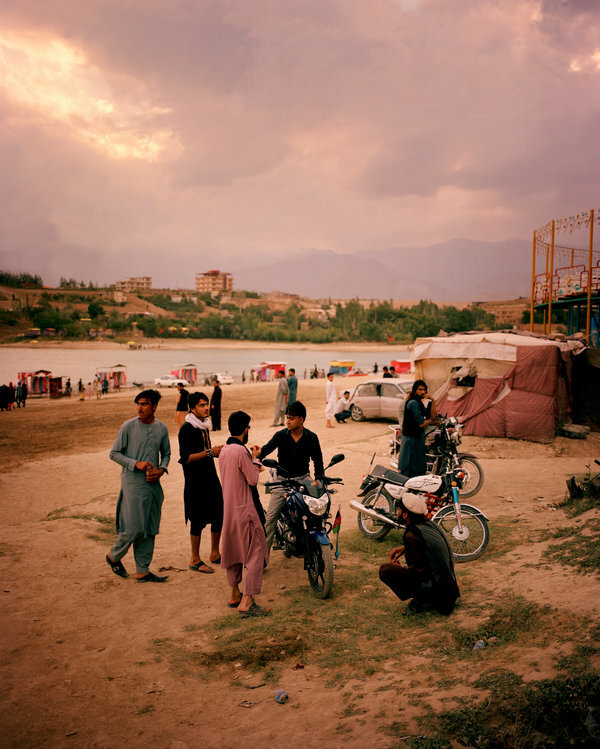 Sajid, a student, was home for the summer when Ms. d’Aki was visiting Kabul. She photographed him while he was taking a break at a cafe. 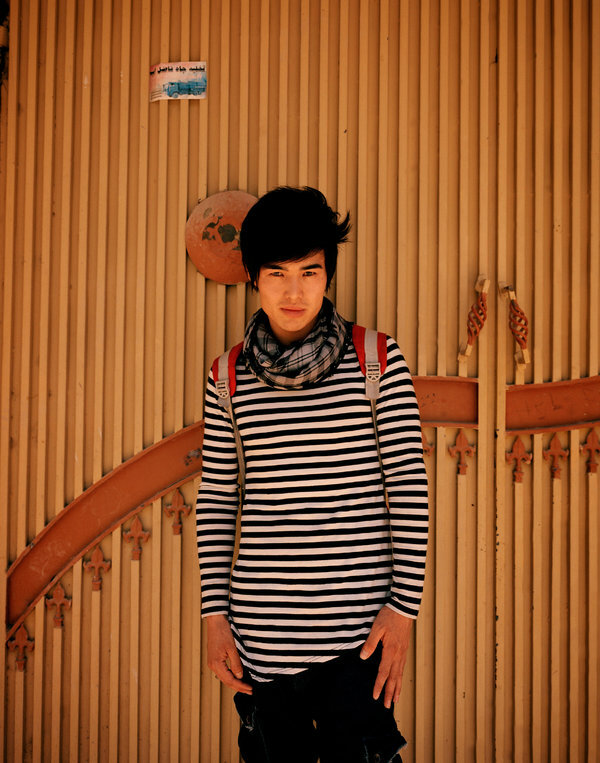 In Kyrgyzstan, where he’s studying, he buys his clothing in stores. “But back in Afghanistan he would have them made,” she said. 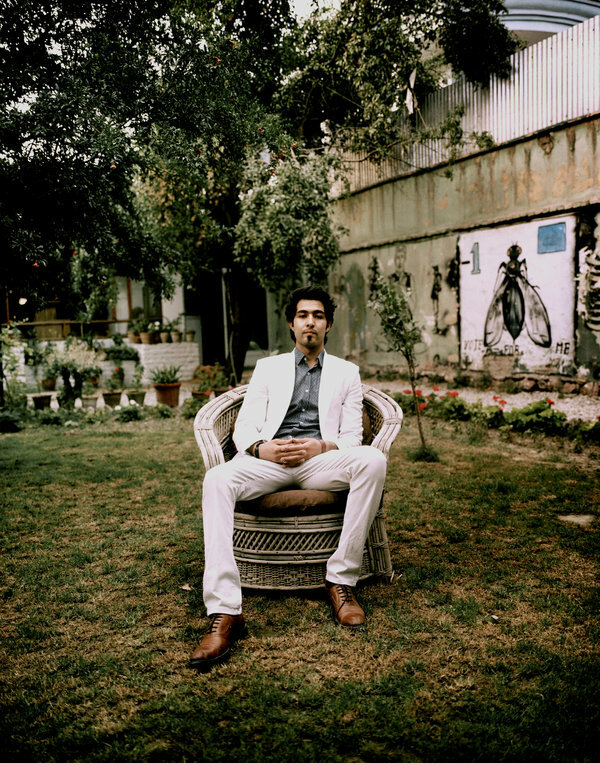 He had this white suit made at Laman, a fashion house in Kabul. His inspiration: classic films. Fatima Sanzadeh founded what may be the first women’s lifestyle magazine in Afghanistan, which she runs with the help of a small team of female staff members. Ms. D’Aki wanted to find some cricket players. So late one afternoon, when the air had cooled down, she went to a field, where she came upon this eclectic group. Shekib Haqiqi, the man standing in the middle, is the team captain. 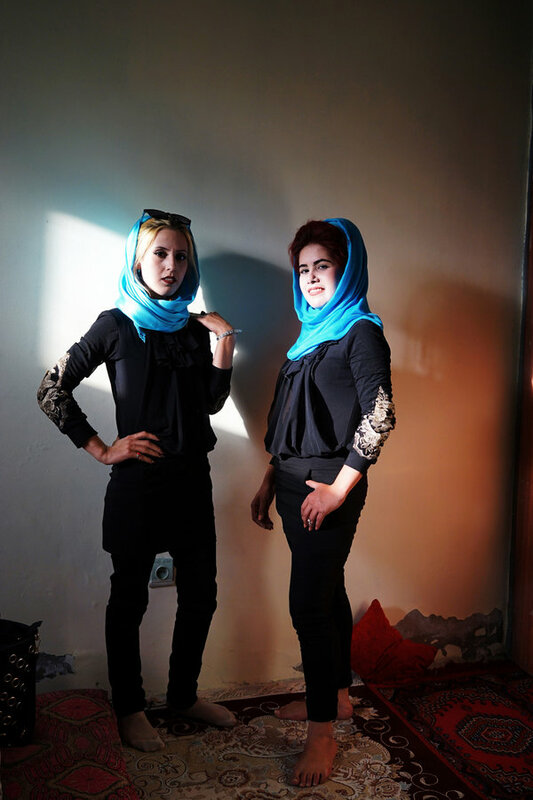 Nazo, 22, and Saida, 20, are Ali and Setar’s sisters. “They are extremely feminine,” Ms. d’Aki said. When she photographed them, they had just come home from work on a TV show, for which they were required to wear these outfits. Samim Halat’s father owns this kite shop, which has been around for decades. “It’s going really well, but this was not kite season,” Ms. d’Aki said. Samim, who wants to become an engineer, helps his father in the shop every Friday, when he isn’t in school. He wears the traditional clothing every day, but in school he wears jeans and a T-shirt, he told Ms. d’Aki. 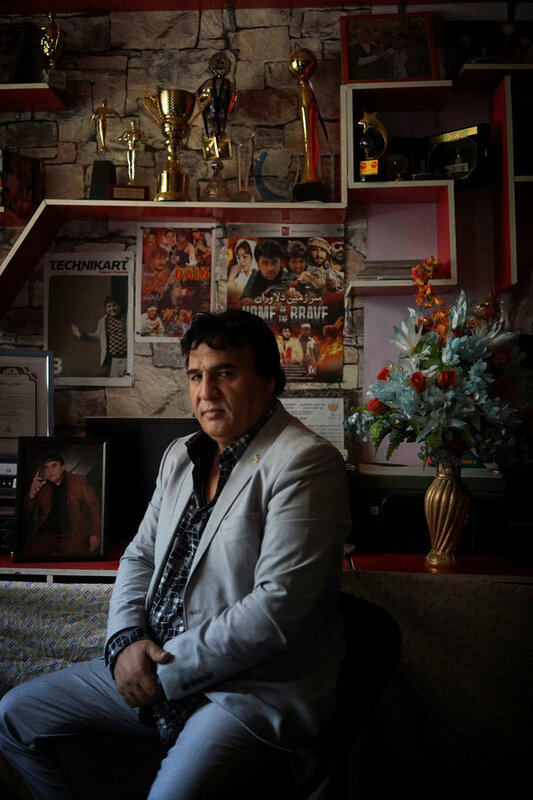 Salim Shaheen, a prolific Afghan director and actor, is the subject of a documentary film, “Nothingwood,” by the French journalist Sonia Kronlund. Ms. d’Aki met Mr. Shaheen, who wears tailor-made suits like this one, not long after he traveled to Cannes. She couldn’t help but notice the posters in this room and elsewhere in his house. Habab’s style was influenced by his upbringing in Iran. His family returned to Afghanistan about a year before Ms. d’Aki met him. In their new home, he told her, he doesn’t want to change the way he dresses. For a few years, Shakira lived in Iran, working in beauty parlors. 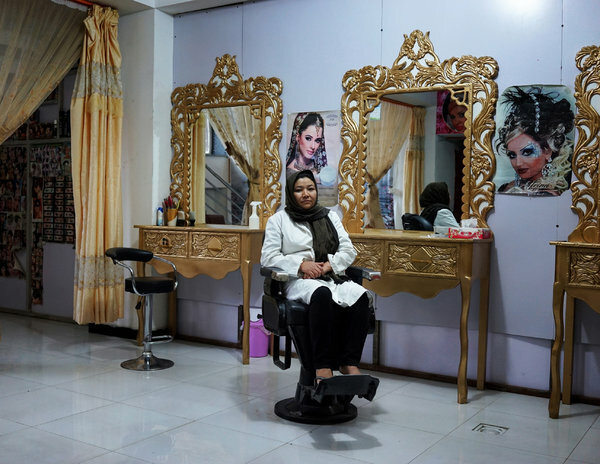 When she returned home to Kabul, she opened this salon. In Iran, she told Ms. d’Aki, many women go to the salon to have their hair and nails done every week. 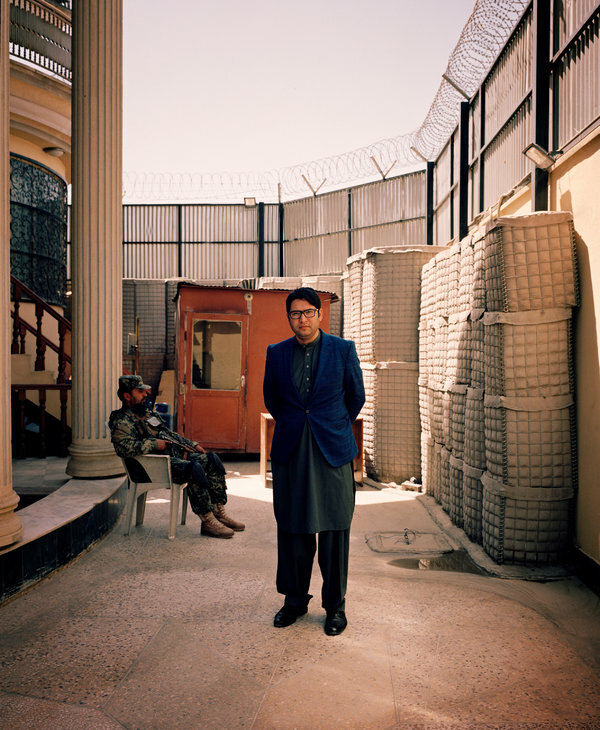 “In Afghanistan they come for a special reason,” Ms. d’Aki said. For Shakira, whose clients don’t tend to be wealthy, business used to be better. Shakira said that, in most cases, women come in with pictures downloaded from the internet. 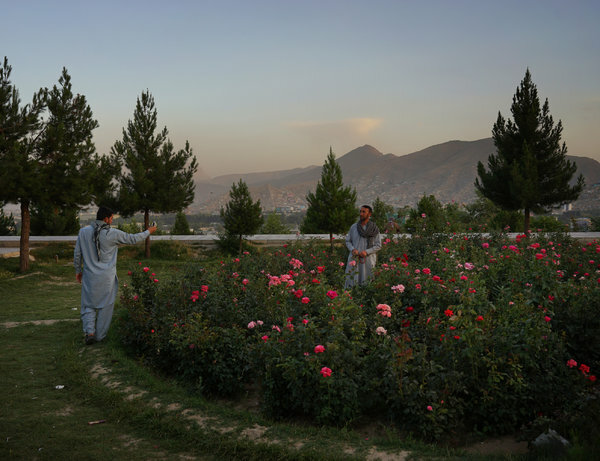 Other stylists in Kabul told Ms. d’Aki that people there tend to ask for modern haircuts, as opposed to more classic looks popular in the countryside. In men’s salons, Ms. d’Aki said, she saw more than one photo of Justin Bieber. Harun Najafizada was a journalist with BBC Persian. When Ms. d’Aki met him, the organization had relocated to a temporary office after a major terror attack. When Ms. d’Aki began photographing him, Mr. Najafizada decided to put this blazer on over his clothing. “You see men doing that,” she said.